London North Eastern Railway, the new east coast rail line operator, is on the hunt for three agencies to handle its strategic and creative, digital and CRM needs. The review affects LNER's relationships with Anomaly, which handles strategy and creative, and TMW Unlimited, which manages both digital and CRM. Both agencies' contracts are due to expire later this year. Anomaly and TMW Unlimited will be repitching. The tender process kicked off officially on 18 March with the issue of an Official Journal of the European Union notice published on Tenders Electronic Daily. All interested agencies should visit the site, where they can enter their details for consideration. Creativebrief is assisting with the process. LNER is the newly renationalised UK operator of the east coast route, which was previously run by Virgin Trains East Coast. The brand was created in June 2018 after talks collapsed between the Department for Transport and the Virgin and Stagecoach franchise partnership. Commenting on the review, an LNER spokesman said: "The successful agency or agencies will execute strategy and creative across the full multichannel spectrum to deliver against LNER’s ambitious business and marketing aspirations." This year, LNER plans to introduce Japanese-designed Azuma trains to its fleet – a significant upgrade on existing stock that brings the company more in line with operators such as Great Western Railway. It also has plans to develop and improve its customer service. 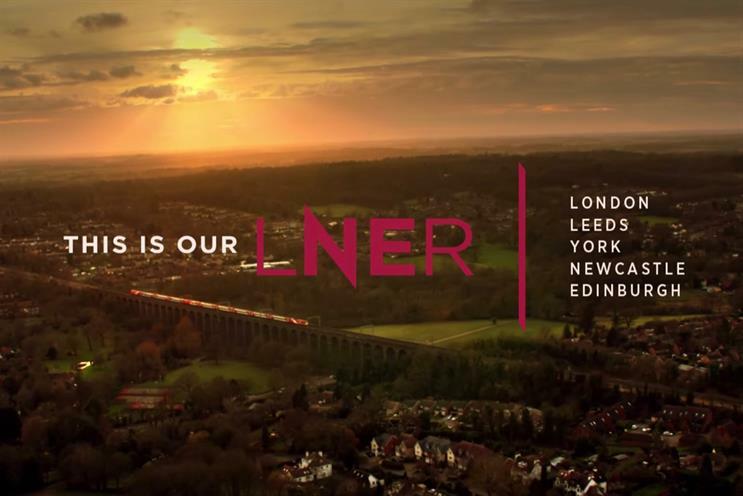 LNER released its latest ad earlier this month. Created by Anomaly, the 60-second film celebrated the broad tapestry of British train travel, with a cast of characters including a father and daughter, a Jenga-playing family, animated sheep, and a Caesar and his legionnaires.